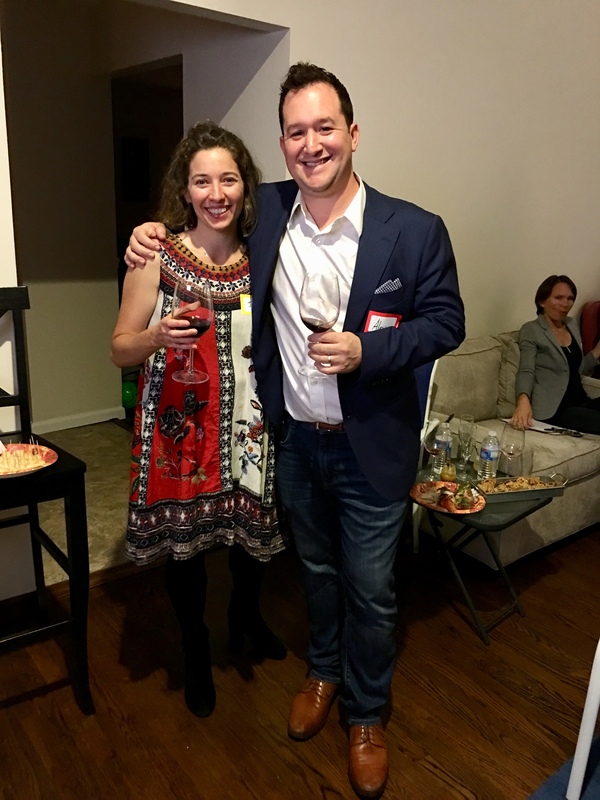 We had a blast hosting our first wine tasting at home for the Newcomers Club of Ridgefield. 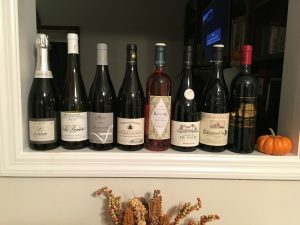 Our theme was excellent French wines for your Thanksgiving table. When registration opened, we quickly hit capacity with 20 unknown neighbors, mostly couples, registering! 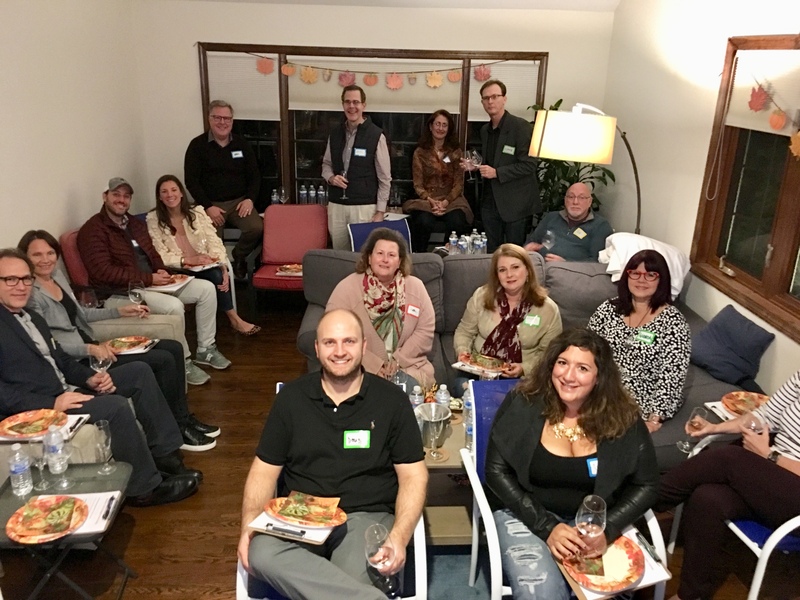 We had to cap the event at 20 because that’s really all we can comfortably fit in our home—even at that, most guests had to sit on porch chairs we brought in from the deck. Luckily, no one was too precious and everyone was very gracious about the seating arrangements. This was by far the biggest “adult” event we’ve had in our home since we moved to Ridgefield last October. Our other recent event was hosting a Halloween party with 20 toddlers in costumes. 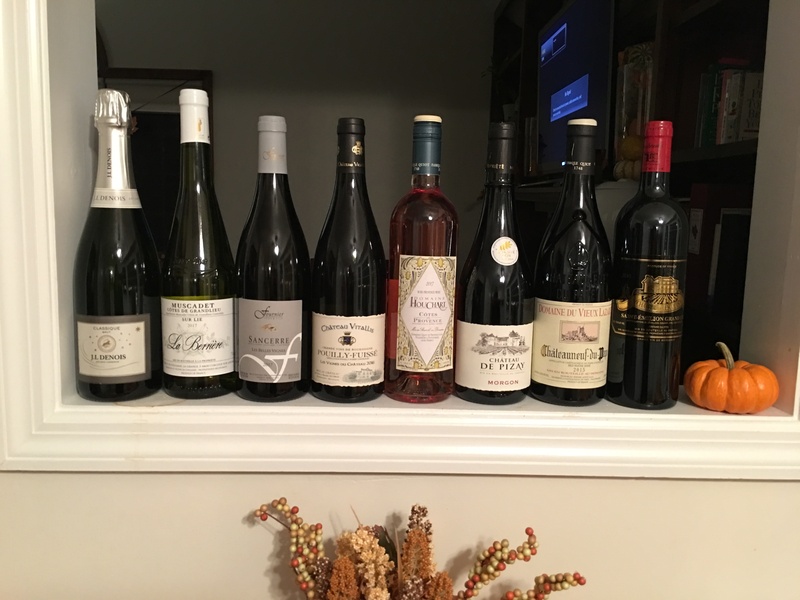 We tasted eight (!) 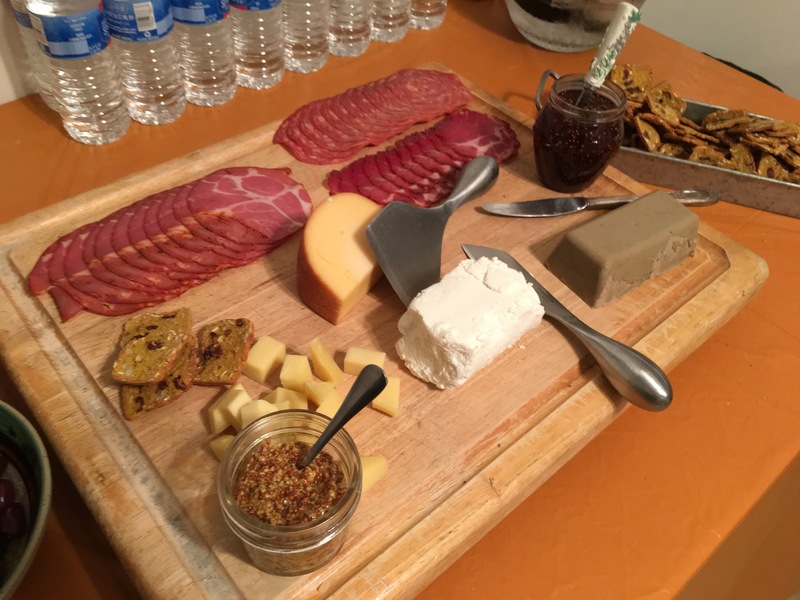 of our delicious French wines and paired each with a rich cheese or hearty homemade appetizer. Alex gave a stellar presentation that we projected onto our TV with photos of gorgeous French vineyards and our smiling French winemakers. 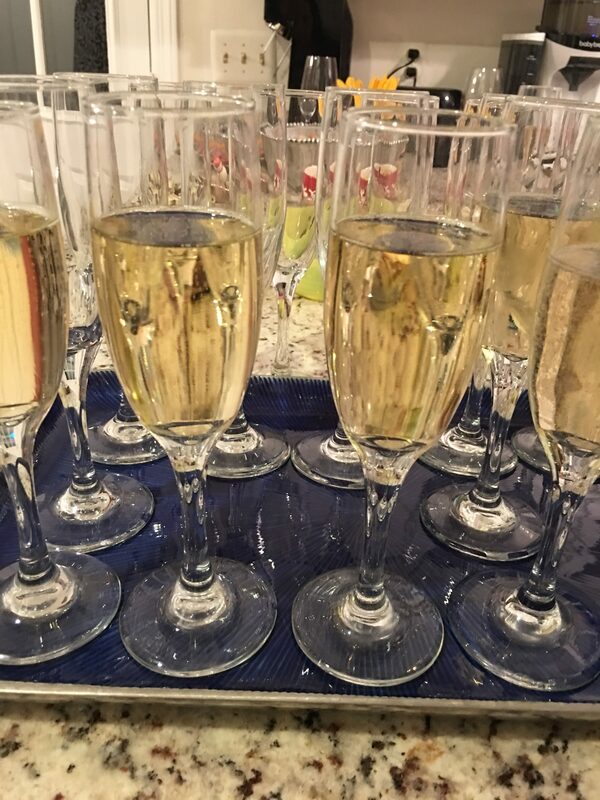 We welcomed the Newcomers with French Cafe music, along with a pleasing glass of J.L Denois Classique Brut. 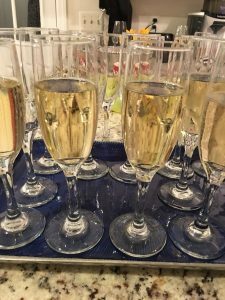 We shared with the group that it’s our family tradition to kick off each Thanksgiving celebration clinking glasses of bubbly while nibbling on apps. 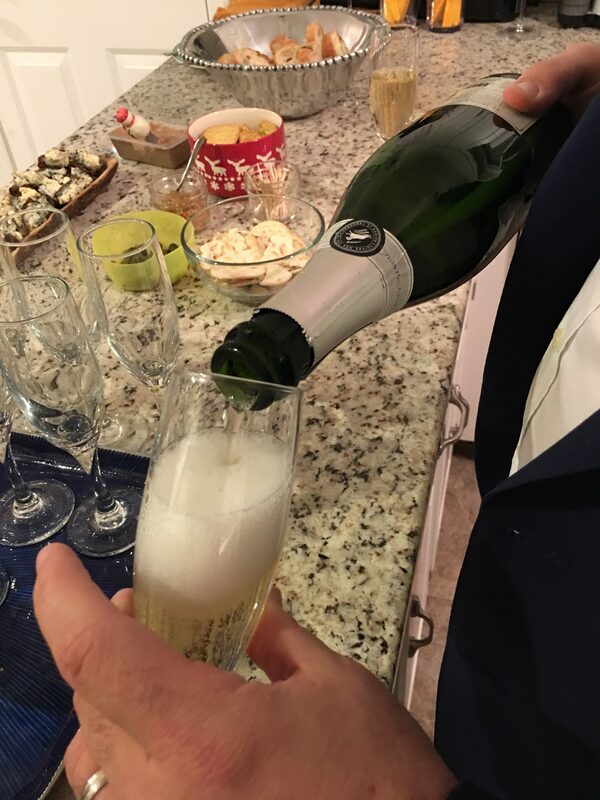 This always sets a celebratory tone for the holiday. We were thrilled with the awesome turnout. And the crowd was bustling with lively chatter. We got everyone to participate in calling out the notes they tasted, before projecting actual tasting notes and reviews from wine pros onto the screen. The Newcomers group has offered an awesome way to connect with fellow all-ages locals in the community in a fun and creative way. We are pleased to report that recipes from both our Moms were a big hit, especially the toasted ham-and-Gruyère brioche and the baked Brie. A big thanks to our local retail partner for this event Cellar XV Wine Market. 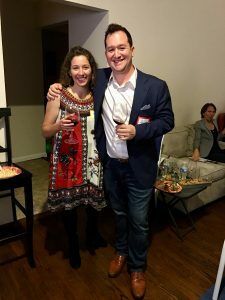 We can’t wait to host more home wine tastings in future to introduce the Ridgefield community to more of our fine French wines. We’re happy to see that we definitely moved to an area rife with wine lovers. Drinking wine is even better with new friends and neighbors!